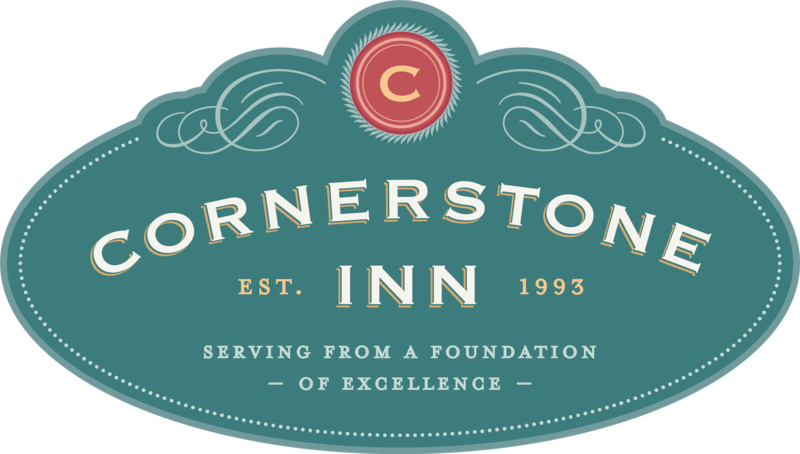 From our humble beginnings in 1993 as a small bed & breakfast to today's collection of 41 exceptional accommodations, Cornerstone Inn has served thousands of loyal guests year after year. We are blessed to be located in the center of Indiana's premier getaway destination, beautiful Brown County and "Little Nashville", Indiana. We would be honored to have the opportunity to serve you! Put your feet up, stay awhile. We hope you enjoy our site! Nestled among the inspiring hills of beautiful Brown County, Cornerstone Inn offers an outstanding collection of getaway options: 38 individually appointed guestrooms, a stunning lodge with 3 guestrooms, a beautifully restored historic home, a trendy studio apartment, and a log cabin. Cornerstone Inn is perfect for couples, girlfriend getaways, reunions, and corporate, spiritual or crafting retreats. Whether your purpose is pleasure or business, you will discover a balanced atmosphere for restorative relaxation, recreation, and clear thinking. Located in the heart of downtown Nashville, Cornerstone Inn is just a few steps from Nashville's treasured shopping and dining experiences, art galleries, and entertainment. Cornerstone Inn is also just two miles from renowned Brown County State Park, 16 miles east of Indiana University Bloomington, 14 miles west of I65 at Columbus, and 50 miles south of Indianapolis. All accommodations at our downtown campus include outstanding snacks and desserts each evening, onsite parking and are attentively staffed 24 hours per day. Our signature breakfast option is now open to the public and available to our overnight guests at the special price of $9.95 per adult and $6.95 per child 3-11. NOW SERVING LUNCH! Fridays, Saturdays & Sundays from 11:30 am - 3 pm. Let a restful visit with us prepare you to re-enter your world recharged, refreshed, and planning to return to the beautiful Hills of Brown and Cornerstone Inn. Please note we do not accept pets or emotional support animals.